Ethics are either considered cultural or highly personal. Your personal ethics may have come from an intensely religious background or no religion at all. Whether you believe that the moral principles underlying your beliefs or actions arise from an absolute standard or are determined by the situation, there is still a need to define those values relating to human conduct that ensure the peaceful and orderly conduct of the members of any society. In the narrow field of genealogical research and publication, ethical considerations arise in the context of activities that impinge on privacy, copyright, plagiarism, and historicity. There are (or should be) ethical considerations when genealogists alter facts, documents or images to suit their personal view of the past. Let me start with a series of hypotheticals. Beware, some of the following are trick questions. You are a beginning genealogist and in searching online in one of the large online family tree programs, you find a near relative has done a considerable amount of work on your own lines. Do you copy the entire family tree or only parts of it? Changing the facts a bit, suppose that one of your relatives sends you a copy of his or her "file" containing all of your relative's documentation and notes. Would it be unethical to copy the entire file online and put your own name on it and leave out where you got the information? How much of the file can you copy without disclosing where you got the information? In documenting your genealogy file, you run across some documents that indicate, for the first time to your knowledge, that your mother had an illegitimate child before she met your father and they got married. Should you immediately put this information in your online family tree? Should you share this information with your siblings? What about putting the information up on Facebook? Let's suppose you are doing some research into your great-grandparents' family life and discover that your great-grandfather did time in the Federal Prison for fraud and tax evasion. No one else in the family has discovered these facts yet. Do you write about it in a blog? Do you include the information in your family file at all? If you do record the information do you tell the larger community? Another hypothetical. You are researching your family and you find a wonderful story about them your ancestors in a blog post. Do you just copy the whole story onto your own website or family tree and forget where it came from? How much of the story can you copy without telling where it came from? How much, if any, information should you put online about living people? You can see that I could on and on with hypothetical situations such as those above. The reason is simple, these types of situations practically permeate genealogy. I can also say from experience, that I know of a serious conflict concerning every one of the situations highlighted by the hypotheticals. It not unusual for newly minted genealogists to approach the subject with a "copy everything for free" attitude. This is an extension of the recent phenomena of "if it is on the Internet, I can copy it" attitude. But fortunately, most genealogists have a sense of ethics. Although parts of the system are chaotic, genealogy as a whole observes some moderately strict ethics. I say moderately because there are no clearly defined parameters and genealogists as a whole are ethical but there are exceptions. If I were to propose some ethical considerations for genealogists, I am afraid I would be much stricter in some areas and much laxer in others than the main stream majority. I would propose some very clear guidelines about copying the work of others urging all to stay within the guidelines set down by U.S. and International copyright law. But I have a very narrow view of privacy. I would not be overly protective of what most people consider private matters. On the other hand, I would be an extremist in the area of historicity. I feel there is no excuse for rewriting history to suit our own present feelings of correctness or simply to avoid offending people. History is history and it should be reported and recorded as completely accurately as possible. One major difficultly, of course, is that using something like the copyright law to determine your ethics is a trap. The copyright law is arcane, inconsistent and in some cases contradictory. There are no clear standards for how much of a document can be copied for fair use, for example and there are also no clear guidelines for what is and what is not subject to copyright in many areas. In addition, some entities use the copyright law as a hammer to beat on their supposed competition or for other even less altruistic reasons. All in all, there are serious inconsistencies in how "ethics" should be applied to the various areas of genealogical concern. Borrowing a statement from the medical community, first, do no harm. As much as possible decisions made in any of these areas should try to avoid conflict and hard feelings or even animosity. In some cases, genealogists may need more than the average folklore level of understanding of things such as the copyright law. In other instances they may also have to avoid publishing damaging information until the concerned parties have passed on to their eternal reward. But from my perspective, I think we do have an ethical duty to preserve history as completely and honestly as possible. In the course of doing research, if a member of the family makes a demand to alter the record to accommodate their particular view of the subject, then the researcher will have to decide which is more important, placating a relative or preserving the accurate historical record. I have already mentioned my position in that type of situation. Since much of what we perceive as ethical is in fact culturally determined, I further suggest that we not be too fast in judging others' decisions based on our own set of morals. On the other hand, I do believe that there is a universal human morality and that when actions fall outside of what is universally accepted as good and moral, they are reprehensible and should be dealt with in the way the law of the country requires. We should, above all else, be examples in honoring the laws of the countries where we live. I will put off to another time, if ever, the discussion of what our responsibilities are if the law of the land is not ethically enforced or is immoral. Overview what is happening in the publishing industry in general that genealogists can take advantage of. Look at where technology is heading that may impact what you decide to do today (e.g., website, blog, Facebook, Flipboard, printed book, smartphone, tablet, eReader, and even ePaper). See how the next generation of readers consume books and media in different ways than in the past and have different expectations of what makes compelling content. Become familiar with the new tools available and formats. See it through the eyes of today's readers. Marlis Humphrey is the industry’s foremost expert on next generation family history publishing. She has applied her 20+ years experience in broadband communications and media and broadcast, technology, marketing, and strategic planning to the genealogy world. Not only a successful researcher, and as founder of myAncestories, Marlis has approached genealogy with a unique perspective on how technology advances in multimedia applications can enrich our sharing of family history and presents and teaches her ideas and methods, inspiring genealogists – whether beginner, expert, or professional, nationally and internationally. If I were going to fast-forward through any discussion about publishing, I would be relying on the last 30+ years that I have owned and help manage a publishing company. More specifically, we would have been called a computer graphics design and pre-press company, although we did take some projects through to publication. This business began in 1984 as part of my retail computer store. We went from a printing environment dominated by traditional printing presses to print-on-demand and epublishing. I fully realize that there is a significant part of the genealogical community that sees publishing a hard-bound printed book of their genealogy as their most coveted goal. From my standpoint, I see no use anymore at all for paper publishing. I would rather publish electronically and view the content on a tablet computer. Marlis did a very good job of review not just the past but showing where we are presently in the digital online world of hand-held computers. Here again, I am mostly out-of-step with the majority. I am not at all ready to give up my 27" screen and my full-size keyboard. I am intrigued with products such as the Flipboard app and other similar products. She was recognizing the composition of the genealogy audience and talked about printing a paper-based book of genealogy, something I would not contemplate. One good reason is the pile of boxes of printed family history books I have sitting in my basement. I keep finding people to give them to, but I still have boxes and boxes of the leftover copies. Ebooks do not sit in piles in your basement. There are a variety of companies online that will publish a traditional paper print book on demand. That means they will print only as many copies as you desire, thus avoiding the piles in the basement syndrome. But the advantages, as pointed out during the presentation, of publishing online or at least electronically, is the ability to link graphics to websites and enrich the content of the book. The topic of this presentation at the International Association of Jewish Genealogy Societies Conference in Salt Lake City, Utah, reminds me of my Mesa City Cemetery Project. During the course of that project, I learned a lot about cemeteries and cemetery records that I never imagined. I realized that, as a genealogist, ignorance of the burial process and all the records associated with the burial process would lead us to be entirely unaware of the potential documents available for research. How did our ancestors handle the reality of death and mourning? What laws and customs were they likely to have observed? Did they tear their clothes, eat certain foods, cover mirrors, sit on the floor, or say the Mourner's Kaddish for an extended time? Some stories were "Bubbe Meises," old tales of our grandmothers that were superstitions. But others had psychological and religious merit. Were these just nostalgic vestiges of life long ago? Many of us now identify with our previous generations and would hope to emulate their spiritual world. Perhaps we might want to reincorporate some of our ancestor's practices back into our own lives! Participants will also learn about regional differences and customs, & will also have opportunities to share personal experiences. Gary Gans was ordained by the Reconstructionist Rabbinical College and has been the rabbi of Congregation Beth Tikvah, Marlton, NJ since 1981.He earned his Doctorate from Eastern Baptist Theological seminary in Family Counseling, a rare honor for a Jew! Gans is also a licensed therapist in NJ, specializing in family relationships, grief, and the impact of life-cycle events.He is on the Board of Directors of the Crescent Cemetery, Pennsauken, NJ and past president of the Tri-County Board of Rabbis. Gary has presented at previous IAJGS conferences, as well as in the Southern New Jersey Jewish and interfaith communities. Jewish burial tradition was that the body was placed directly in the dirt, so there are some traditional issues with the modern metal coffin styles. The important thing is that the body be put in contact with earth. There are such traditions in all cultures and it is important that the family select a funeral director that is sensitive to the cultural background of the family. In Jewish tradition, the body of the deceased was always covered. The body was washed and clothed in special garments. I was struck by some of the similarities and many of the differences of the traditions with my own cultural background. It would be interesting to research how our own traditions arose and whether or not the common tradition in the rural parts of the U.S. in the 1800s had an effect on the traditions now present among members of The Church of Jesus Christ of Latter-day Saints. But I am sure that modern, commercial funeral practices have dramatically altered my own cultural traditions in many ways. This entire week has been a wonderful opportunity for learning. 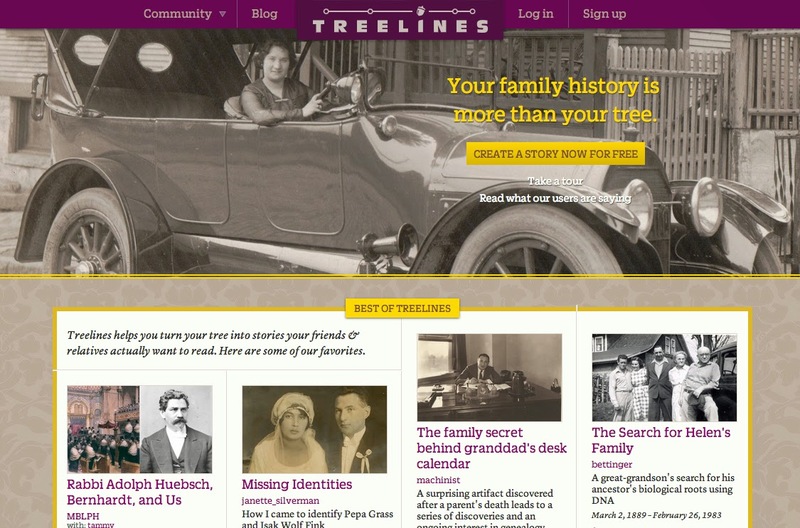 Treelines.com is a website for collaboratively building family trees, sharing stories, and collecting pictures in a beautiful, low-key setting that appeals especially to the non-genealogists in a family. In this class you'll learn how to upload your existing family tree to Treelines or create a tree from scratch, how to add and edit people in your tree, and most importantly, how to create interactive, timeline-driven digital scrapbooks for all the meaningful people and events from your family's past. At the end of the class, you'll have a solid understanding of the unique ways Treelines allows you to present and share family history, and you'll be ready to invite family members to join in the fun with you. Tammy A. Hepps is the creator of Treelines.com, a family story-sharing website and winner of the RootsTech 2013 Developer Challenge. With a degree in Computer Science from Harvard, she has fourteen years of experience in digital media, leading technology initiatives across the content, commerce, mobile, and social spaces. She has been working on her family tree for more than twenty years and combines in Treelines.com her depth in genealogy, technology, and storytelling. She serves on the Board of Directors for JewishGen and the Philadelphia Jewish Archive Center, and the Board of Advisers for the NY Family History School. As Tammy says, "Treelines are storylines for your family tree." 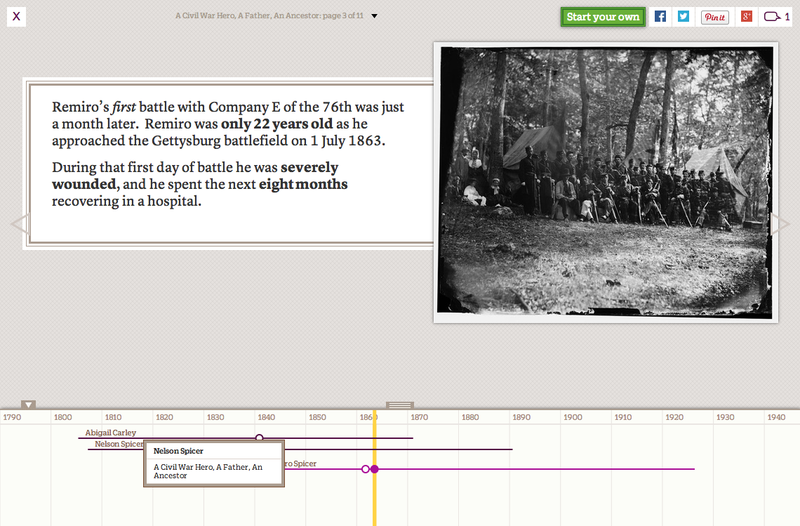 As I have said before in posts about Treeline, it is an elegant and very easy to follow way to present family stories. The process of creating a Treelines story is straightforward and the program also provides a format for creating a more traditional looking pedigree. The program is primarily private, but can be made public on the site. You may very well find Treelines to be just exactly what you have been looking for in an online format. Trees on Treelines can be expanded by adding interrelated stories. The program contains the full view of all records and images. Treelines is presently a free website. With the decline of Babylonian Jewry in the 9th and 10th centuries, Jews, in large numbers, immigrated to Europe. Yet there is evidence of Jewish settlement in Europe dating back more than 1,000 years prior to this point. This presentation will focus on early Jewish settlement in Spain, Germany, France and Italy. Using Biblical, Rabbinic and secular sources, we will explore why Jews chose (or were forced) to live in these countries, where they settled, and under what conditions they lived. In addition, we will discuss the dividing line between Antiquity and the Medieval era, and its ramifications on the Jewish settlement. This presentation is designed for beginners, and is not a workshop. Maps, pictures, and documents will be displayed. Handouts with further information and a bibliography will also be distributed. Avraham Groll is the Director of Business Operations for JewishGen. After studying in Israel at Yeshivat Ohr Yerushalayim, he received a BS from Ramapo College, and an MBA from Montclair State University. He is currently pursuing an MA in Judaic Studies at Touro College. I include this information to illustrate what I perceived from attending the classes so far. Almost uniformly, I have found the same very high standard of education and competence. It is really a privilege to be here at this conference. There is also an intensity here that is not present at any other conference I have attended over the years. It would seem to me a very difficult proposition to trace a movement of a people based on a cultural affinity and a religious homogeneity irrespective of the surrounding political boundaries. This challenge is reflected by the controversy in establishing many of the very early locations in the Biblical account. The presentation began with a summary of the status of the Jews at the time of the Babylonian Empire. There are a very large number of books and other reference works on the history of the Jews. I decline to recommend any particular work, although I have several in my personal library. The fact that a presentation at a genealogy conference is dealing with the history of the people involved should be noticed by other genealogy conferences. I sometimes find too much methodology and not enough history. The panel for this session is Jan Meisels Allen, Vice President, IAJGS and Chairperson, IAJGS PRAMC, Janet Alpert, Chairperson, Records Preservation and Access Committee, Teven Laxer, Retired SEIU Senior Labor Relations Representative, Member, IAJGS PRAMC. IAJGS has published hundreds of alerts on their Public Records Access Monitoring Committee (PRAMC) and the Records Preservation and Access Committee (RPAC). The first issue discussed is the European Union, "Right to be forgotten" and the "Right to be erased." IAJGS focuses on the "Right to be remembered." These are important issues for genealogists that go to the heart of the need for record preservation. Although they are couched in terms of privacy issues, they are essentially efforts to re-write current history. In addition, there are significant efforts around the world to extend the time that must pass before access is granted to vital records, particularly birth records. One aspect of this issue is the not too distant and still active controversy over the U.S. Social Security Death Index. From my perspective, some of the cumulative issues discussed are in the category of "nothing new," but some of the issues are extremely disturbing. Discussion and links to the issues are available on the IAJGS website. The RPAC is also involved in adopting a Genealogists' Bill of Rights that will be available at the IAJGS conference for individuals to sign. It will also be available on an online signature gathering website. This would accompany letters specific to genealogical access issues in the United States. It is anticipated that other countries will develop similar bills of rights following their countries’ privacy rules. For more information see Genealogists Declaration of Rights Launched by Records Preservation and Access Committee (RPAC) also see http://www.FGS.org/rpac. They discuss the Model State Vital Statistics Act. Some of these laws are being enacted imposing 125 year embargo on birth and 75 years on death records, such as the law passed by Oklahoma. There are a lot of issues here an it looks like my list of potential blog post topics is expanding rapidly. See the PRAMC Charter. Also there is an online summary entitled, Genealogy Under Fire: Government Actions to Impede Access to Records YOU Need." The main question to ask when there is a governmental effort to limit access to records of any kind is who benefits from the new limitation or blocked access? Seldom are these limitations really designed to protect individual rights and access even when the arguments in favor of the restrictions seem to indicate that the individual's rights are being protected. I Couldn’t Put it Down! Series: Flipboard Your Family History Watch as we build a personal Flipboard e-magazine with typical family history content and genealogical artifacts. Learn how to use YouTube, Blogger, Facebook, and Twitter to build the e-magazine and how to arrange the sections, edit, create a cover, and share your e-magazine with your family on an iPad, iPhone, iPod, Android, Kindle Fire, or NOOK, PC, or Mac. Experience the beautiful simplicity and interactive interface of a family history e-magazine that your family will treasure. Marlis introduces Flipboard as a substitute for the discontinued Google Reader. I have Flipboad on both my iPhone and my iPad, but so far, I have not been overly engaged with the app. From my standpoint, the information is not compact enough and takes too much interaction to view a long list of blog feeds. That is the reason I came to the class, to see if there was something I was missing. Like most of what I have experienced so far at this IAJGS Conference, I get more than I expected or imagined. One issue that arose in the context of the presentation was the copyright issue of linking to a document or image versus making a copy. I will have more to say about this issue in another post. A digital magazine format app designed initially for social network and news feed aggregation. The highly visual interface is known for its beautiful graphical magazine-like reformatting of ordinary content – resulting in an improved reading experience. New functionality allows a user to create/curate his/her own personal digital magazine. After hearing the presentation, I am impressed that Flipboard and other similar apps could be a significant advance from the present blog format. I am wondering however, how much exposure you can get using Flipboard as opposed to Blogger. If the idea is that you are overlapping or duplicating content, simply for a presentation option, I am skeptical that I can use this venue, but Marlis is very convincing. It reminds me of my recent re-initiation to using Evernote. Both Flipboard and Evernote seem to have many more functions than I have been using in the past. This class highlights the importance of attending conferences. The subject of this presentation was not something I would have looked at absent the incentive of attending a convenient class. If you want to find out more about Flipboard and the possibility of using this platform to publish your family history information, including photos, stories, audio and video clips with the option of publishing it all on the social networking sites, you may want to look at the tutorials at Flipboard Tutorials. James, I think you have hit upon my biggest issue in genealogy. When do you decide something is a chimera and end your research? I have a family patriarch who was baptized in 1671, according to my family's records. I'm going back and verifying all of the links, and I'm really stuck here, as I can't find the baptism in question, which calls into question the rest of the research the family has done, linking back to the ascending three generations. Do I just end the line and say "This is what the rest of the family believes, however, data does not exist to prove its veracity" or do I keep going trying to find that piece of data to make the system work? Unfortunately, it is not uncommon for online family trees to included unsubstantiated ancestral connections. First of all, it is important to look at the dates involved in this particular issue. No matter what country this particular question refers to, research back into the 1600s is going to start encountering a significant lack of source material, particularly if the researcher is searching for evidence of a specific event, such as a baptismal record. Normally, we would search for alternate records to support a calculated date, but in this time period the options may be extremely limited. In this case, it appears that someone has entered a date without a source. In my opinion, any unsourced information in an online family tree is pure speculation. The burden of supporting the date in question is not on the commentator, but on the person who entered the date in the first place. Unless there is substantiating evidence in sources that support this particular connection, the line is unproved and should be discounted. The researcher here can "keep trying to find that piece of data" but I would suggest that it might be more productive to step back a generation or more and see if the rest of the line is well documented. If it happens to be documented, then the focus should be on finding more supporting data for the target individual's descendants and family rather than focusing on the narrow issue of one event. I hope this helps clarify this type of question. 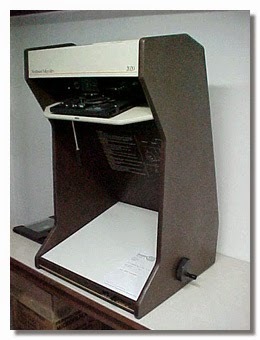 Rather than a hand crank, this microfilm reader/scanner moves the film with computer commands. The images from the microfilm can be easily adjusted, rotated and captured. If you visit a Family History Center that has one or more of these machines, you can save any images you find directly to a flash drive or other storage device. Much of the information you need when working on genealogy research projects include documents, records, family photos, letters, and articles, etc., that can be found only on microfilm. 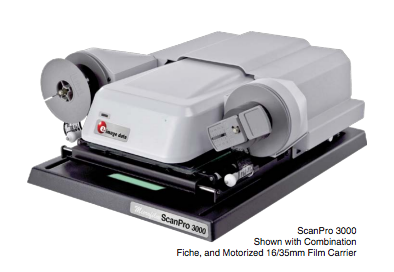 e-Image Connection is a software feature that is available for all ScanPro microfilm scanners that makes it easy and efficient to upload this information directly to your Family Search account. 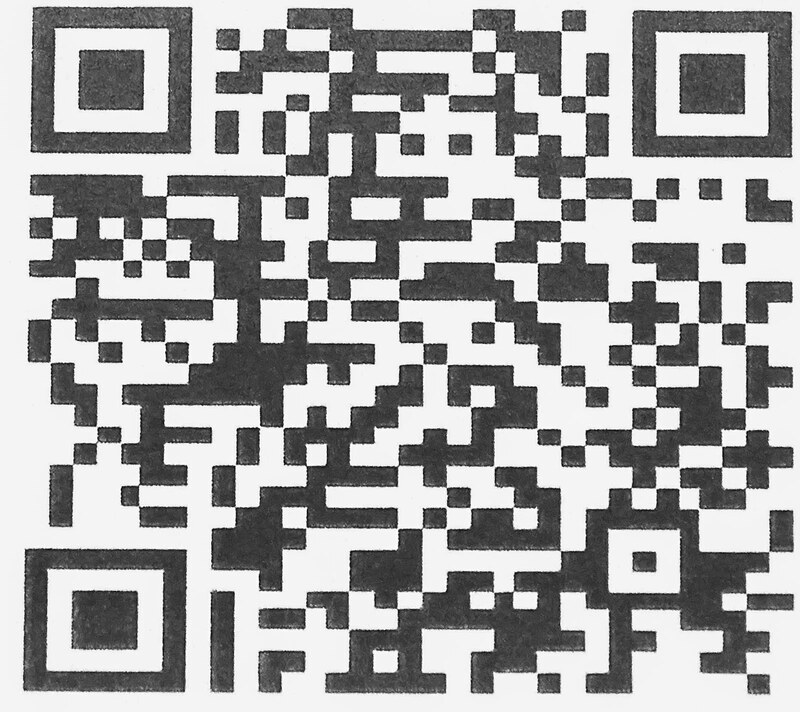 You start by logging into to your Family Search account, use the ScanPro microfilm scanner to locate information that you are interested in, select that information,and CLICK the Family Search upload button. It is that easy. You also have powerful, easy-to-use image editing tools available including image adjustment, OCR (create word searchable documents), and renaming scans (for easy identification). And, the image adjustments are live so you can see exactly the changes that you are making before uploading. Closer to your family’s history with just a CLICK! Wouldn’t it be nice if when you came across that ONE photo of your great-great-grandparent, you could just click ONE button and save it to your Family Search account? At E-Image Data we think you should do just that. Our new E-Image Connection software for all models of the ScanPro works seamlessly with Family Search, allowing you to simply click the Family Search Upload button to save the record, photo, letter or article directly to your Family Search account. It’s that simple! You can then continue down your research path and find out what more you can learn about your relatives of the past. Using the ScanPro and E-Image Connection is the easiest and most efficient way to do genealogy research and gets you one click closer to your family history. These advances make transferring these images even more convenient. Of course, there is still a need to review the reliability and appropriateness of any image used as a source and attached to FamilySearch.org Family Tree. I would assume that the larger FamilySearch Libraries will acquire this new technology in the not-too-distant future. Searching in a wiki program is distinctively different than either using a catalog for searching or utilizing a Google string search. It is true that there are few, if any, purely catalog systems of search online and likewise almost all "string searches" have some underlying structure. Since a wiki program has a distinctive structure, searches for items within the wiki are relatively uniform in nature from online program to program. The largest online genealogy wiki is the FamilySearch.org Research Wiki. There seems to be a conditioned distrust of the accuracy of wikis due to their cooperative and collaborative nature. However, I have found this attitude is usually expressed in direct proportion to the extent of the individual's contact with and use of a wiki. Wikis are self correcting and that feature alone is paramount in deciding their degree of accuracy. The content of a wiki is determined by its originating sponsor as are its rules of operation. In doing both catalog and string searches, the idea is to try and guess the content of the search objective. For example, if you are searching in a library catalog, it helps to understand the library's system. If you are doing a string search on Google, it is important to try and guess an indexed phrase or text phrase in the documents you are researching. In a wiki search, you should automatically begin your search with the most general terms about the subject you can imagine and then allow the wiki to direct your further inquiry. And likely many more. The purpose of the wiki is to answer questions and provide links to sources. By doing a very specific search, you are, in effect, defeating the purpose of the program. Let's suppose that you are already very experienced with the wiki and so do not need all this background information. In that case, the most efficient was to approach the search is by the geographic place where an event occurred. In this case, you go directly to a search for "Arizona" and then select Vital Records from the subject link for the state. However, you should be aware that just as with the subject search for birth records, a place search is likely to show results for jurisdictional subdivisions such as counties, townships, towns and villages. In the case of a search for a birth record, you would expect the wiki to provide you with information about the availability of that type of record at the time and in the place where your ancestral event occurred. What I find is that when a researcher does not understand how and why a wiki works the way it does, that searching in the wiki for specific information creates a great deal of frustration on the part of the researcher. In addition, it the wiki is functioning properly, the list of topics above ought to be listed as links on the United States Birth Records page. If this is not the case, any registered user of the wiki should be able to add in that information at any time. As you can see from my series on searches, there are significant differences between catalog searches, string searches and the functions of a wiki search. Here is some exciting news about the FamilySearch Research Wiki. Our Research Wiki site will receive a major upgrade later this year (2014). This future upgrade will provide some welcome improvements. For example, there will be more space on the web page to view enriched text and images. There will also be increased editing capabilities for contributors and several other useful changes. They look pretty much the same. In addition, the menu at the bottom of Version Two is usually caused by having the margins of your browser window too narrow and is what you see now in different browsers. This is the kind of change that usually engenders a great deal of controversy and discussion in the Wiki circles, but almost goes unnoticed by the average user. If you look at Version One in full screen, you will see that the lines are very long and it is difficult to read, but this is easily solved by shrinking your browser window. I am very glad to see so attention being paid to the Research Wiki, but I am not sure that changing menu items and moving things around a bit constitutes a new look. I find the Wiki extremely useful and I am very proactive in recommending it to everyone at every level of experience. The Salt Lake Institute of Genealogy (SLIG) is a week-long intensive educational experience that takes students deep into their topic of choice. Instead of a breadth of topics like a conference, this institute offers a depth of knowledge. Students attending SLIG have the opportunity to advance their education with renowned genealogy experts during a week-long experience, network through special events, and tap into the wealth of resources at the nearly Family History Library. Sponsored by the Utah Genealogical Association, SLIG is now in its 20th year. Having outgrown their previous venue, the 2015 program will be held at the Hilton Salt Lake City. This new venue offers plenty of elbow room for learning, networking, and celebrating at the closing awards banquet. Offering SLIG four-star quality at a three-star price, all students desiring to do so will be able to stay at the conference hotel in order to immerse themselves completely in the SLIG experience. I am looking forward to attending the upcoming SLIG in January of 2015. SLIG 2015 will be held at the Hilton Salt Lake City Center Hotel in Salt Lake City, Utah on January 12-16, 2015. Registration is now open and all of the necessary information is contained on the new website. The SLIG is sponsored by the Utah Genealogical Association. The WikiChicks Genealogy News Network (WikiChicks GNN), an engaging genealogical news service, has officially launched. “WikiChicks GNN is a new way for genealogists to stay informed of current industry news and relevant stories. By using social media tools we can provide information in a way that allows folks the ability to both read and share it easily with others” saidTami Osmer Glatz, co-founder of the group. “What I like about this concept is that it is a great example of how genealogists can come together, collaborate and make great things happen!” said Eowyn Langholf, co-founder. WikiChicks is different from existing community news services in that it is accessible through many platforms, and news is shared throughout the day, with evening digests of the day’s events created as a single blog posting. Thanks for your patience with this post. I had a trip to Canada and Alaska in the middle of writing this series and then a move to Provo, Utah and got behind. Now to the list of online digital newspaper collections by states. Here is the list (finally) bear in mind that this list is not intended to be comprehensive. This list is now as complete as it can be. Anyway, I doubt that a comprehensive list could be accurate because of the constant changes. The longer I looked for content the more I found. Some of the websites still had microfilm content, but if there was no other digital online content, I listed the microfilm repositories. Remember that there may be collections of newspapers from any particular state in the general links I had in my previous post introducing the links to the state collections. See Online Digital Newspaper Collections by State -- The Lists Introduced. I suggest that most of the states are in the midst of finishing paper collections, expanding microfilm collections or digitizing existing collections. I have included some statewide efforts even though there is no evidence that the newspapers in question are available online as yet. There may be more than one link to the digital collections since I found that there were other valuable resources listed in different places. Densho Digital Archive, Gila News - Courier, published by the inmates at the Gila River concentration camp, Arizona, from 1942 to 1945. Connecticut State Library Digital Collections, Newspapers of Connecticut, The Connecticut Newspaper Project has microfilmed 1,094,446 pages and cataloged 7,161 titles of papers dating back to the 1755 Connecticut Gazette. The project received $1,932,416 in NEH support. Provincetown Online: The Advocate Live!